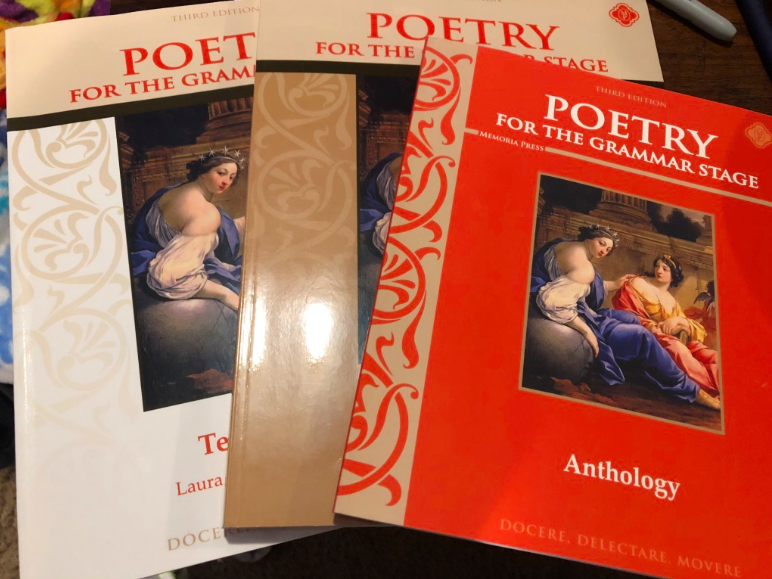 Lydia and I recently had the opportunity to study and delve into a look at poetry when we were chosen to review Poetry For The Grammar Stage from Memoria Press. Lydia has a new respect for poetry, we were definitely not disappointed!! Poetry For The Grammar Stage is a collection of poetry that was grouped together for roughly Grades 3-7. The set includes Poetry For The Grammar Stage Anthology, Poetry For The Grammar Stage Teacher's Guide and also Poetry For The Grammar Stage Student Workbook. We received a physical copy of each of the books for our review. 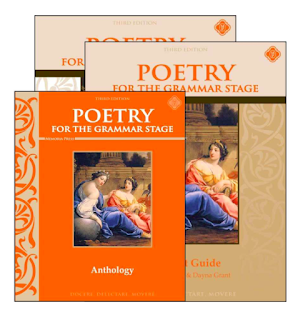 The Poetry For The Grammar Stage Anthology book is the bound book of poetry selection for use in this series. Thirty-two poems are included in this level of Literature & Poetry from Memoria Press. The poetry includes selections that will match up classic literature titles such as Robin Hood, The Cricket in Times Square, A Bear Called Paddington and Heidi. There are some classics from well known poets such as Robert Louis Stevenson, Henry Wadsworth Longfellow, Edgar Allan Poe, and even Walt Whitman. 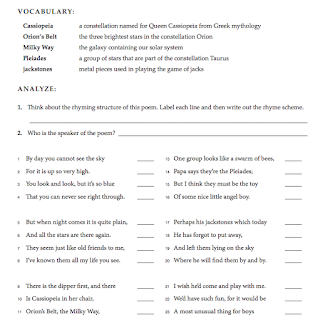 The Poetry For The Grammar Stage Student Workbook has pages that match to each reading selection in the Anthology book. 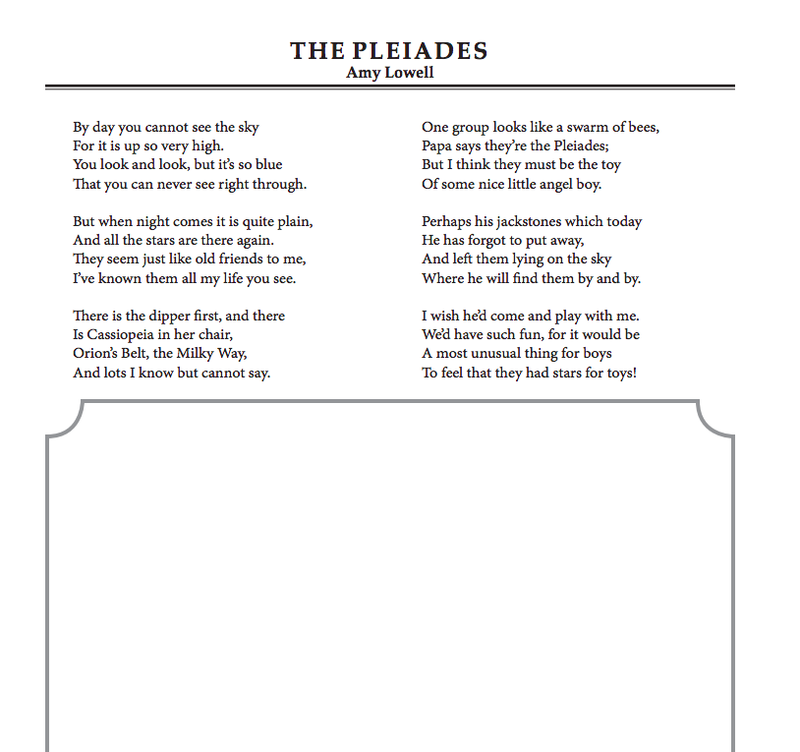 The suggested schedule is to read the poem together. 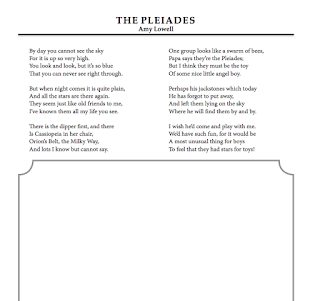 Students should copy and illustrate the poem. Depending on the length of the poem, this could take a student just a bit of time. I found that Lydia struggled and got very frustrated with this portion of using Poetry For The Grammar Stage. She struggles with eye and hand coordination when doing any type of copywork. This is part of her learning disability. It takes her an extra long time to copy small portions. At the first sign of struggle in the very first lesson, I could see frustration already starting. Once it has started, I knew she would not want to continue further and develop a hatred for poetry. 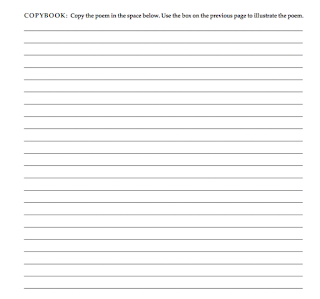 So I removed the copywork portion of the lessons. That brought us to learning the vocabulary and working with rhyming in the stanzas, as well as comprehension questions. Lydia struggles with writing period. So this unfortunately was also an area that she struggled in. 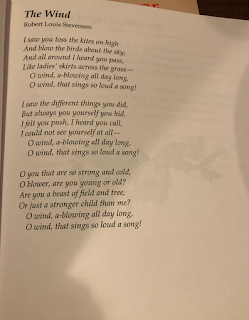 As we talked through the comprehension questions for review and analyzed the very first poem, I discovered that more adaptations would need to be made to make this an enjoyable study for Lydia. That is when I gave her the Poetry For The Grammar Stage Anthology book to read. She and I would take turns reading a poem, depending on the poems length. We did this daily. 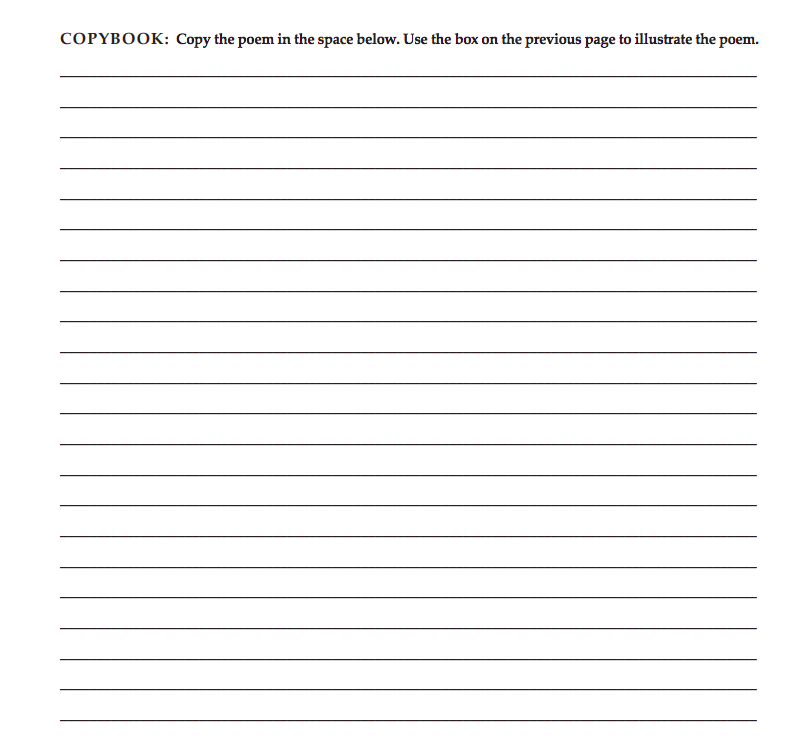 Daily we would review and discuss poetry terms that were highlighted in the workbook. We discussed the rhyming patterns and comprehension questions to get a better understanding of each poem. By adjusting to a verbal question and answer, I was able to keep her frustration levels down to nothing and this gave her the confidence to keep going in our studies. She started working on art to go with her poems. 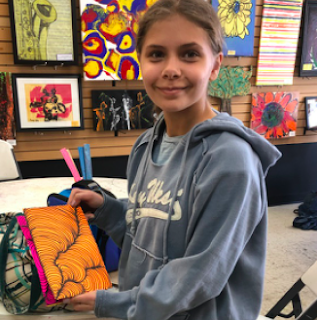 Lydia loves to draw and was learning how to draw optical art. She loves this and can work on it when she's not struggling with her hand tremors. This day she created an example of "The Wind" she said. 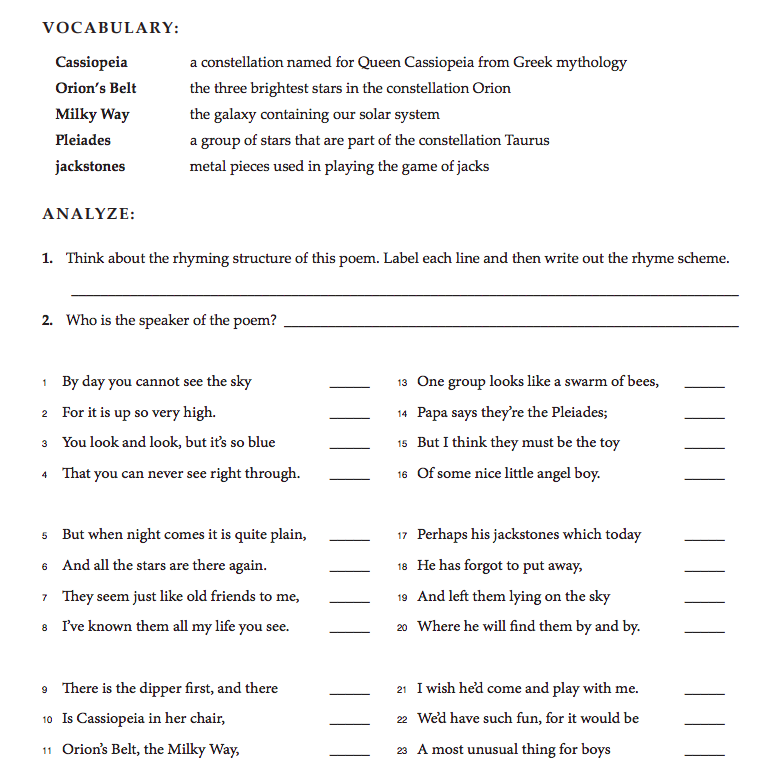 Poetry For The Grammar Stage Teacher's Guide is really just a complete copy of the Student Workbook, but with all of the answers filled in. 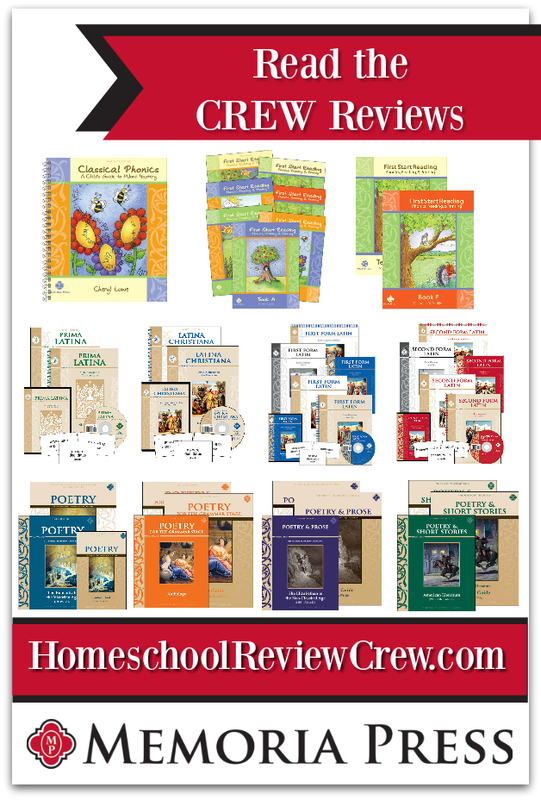 Parents are encouraged to review the poetry terms in the back of the Teacher's Guide, by doing this it was a refresher for me and I was able to speak with Lydia more confidently about each poem. We actually split up talking about a poem over a weekly period. Since she was not copying it. I needed to find a way to reinforce the material that we were learning and discussing. Our schedule included a minimum of one poem each week, and we would work on memorizing it. If a poem was longer though, we would spend more time on it due to the length or material involved if there was a lot of vocabulary to discuss. 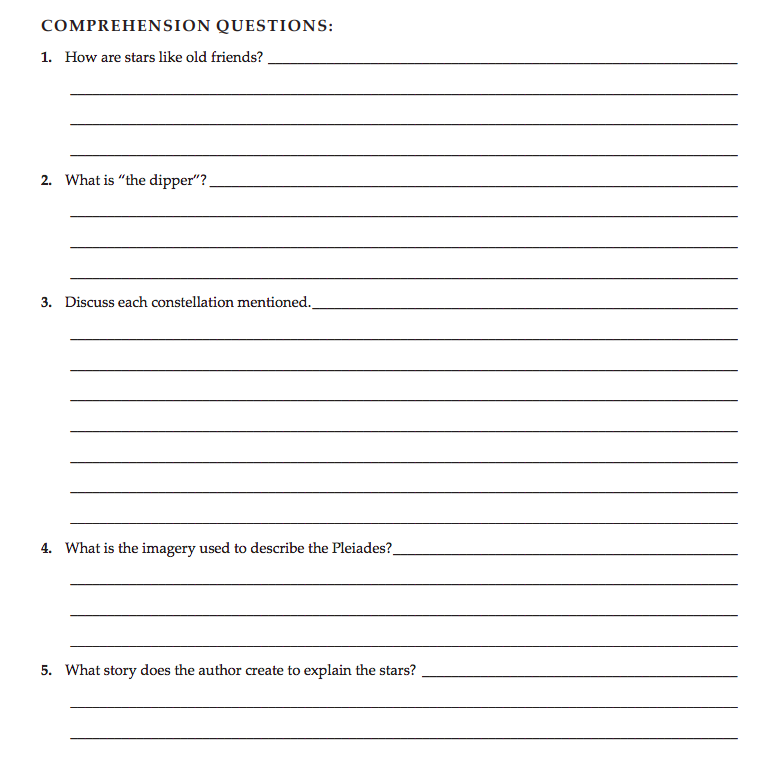 This is one of the biggest loves I have for the Memoria Press curriculum. I can easily adapt it to the kid's learning styles. We have been using their materials with all of our kids, and I have been able to adapt all of the materials to each of our kid's learning disabilities. 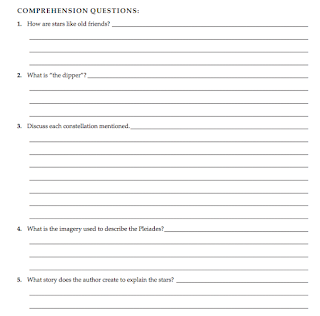 The curriculum is also very easy to use and does not require extensive pre-planning. 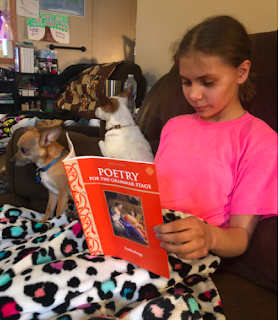 I was able to add the lessons easily to our schedule each week, and also just as easily adjust if we wanted to spend extra time on a poem. We have been enjoying our study of Poetry For The Grammar Stage so much, that when we study American History next year I plan on purchasing Poetry & Short Stories: American Literature Set to enhance our studies. Click on the link below to see how they used these materials in their homes and with their families.